The doors to Gen Con 2018 are just minutes away from opening, and while I won’t be there (#GenCant), this is the shortlist of games that I am most excited about that will be available for sale or demo there. I waited so long to make this list because I knew there would be a number of really interesting titles that wouldn’t get announced until this week. 3 of the games on this list were just announced in the past 72 hours. My list is limited to just campaign/narrative games, but there are plenty of other games I am excited about as well! 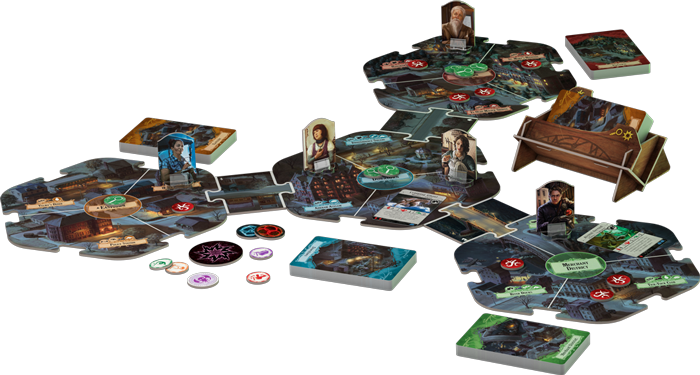 To be honest, I was a little disappointed in Fantasy Flight’s Gen Con announcements this year, but Arkham Horror Third Edition did pique my interest a little bit. The big difference that I’m seeing beside the modular board is that the game is scenario-based with branching narrative paths to them. Based on the initial images, the branching narrative system looks similar to how Fallout: The Board Game handled it with a deck of cards that you seeded based on the choices you made. A prototype version is available for demo at Fantasy Flight’s booth, and will hit retail in Q4 2018. Rob Daviau + Legacy = Interested. A legacy campaign version of Ted Alspach’s “ultimate” version of the classic social deduction game Werewolf. 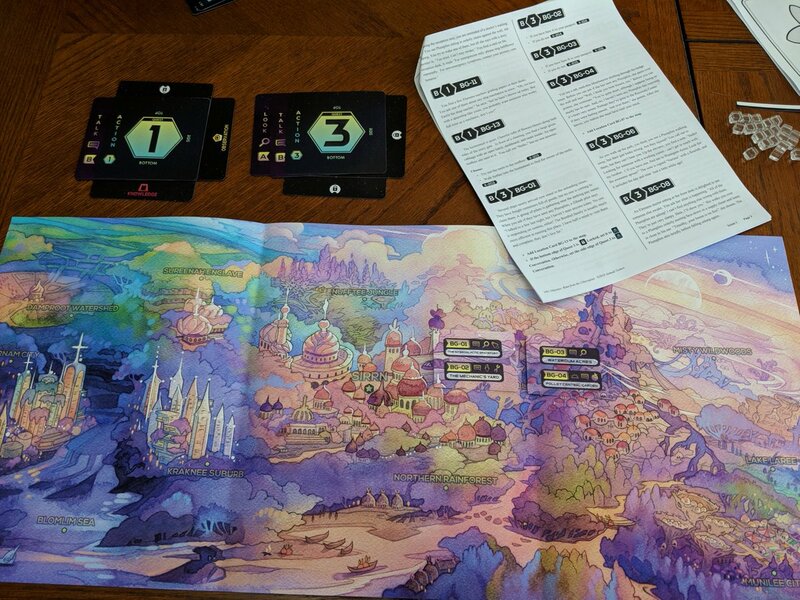 The game focuses heavily on a journal that guides the moderator and villagers through a branching narrative based on the choices of players and outcomes of games. The game requires a minimum of 9 players to play, so I don’t know if I’ll ever actually have the opportunity to play this, sadly. 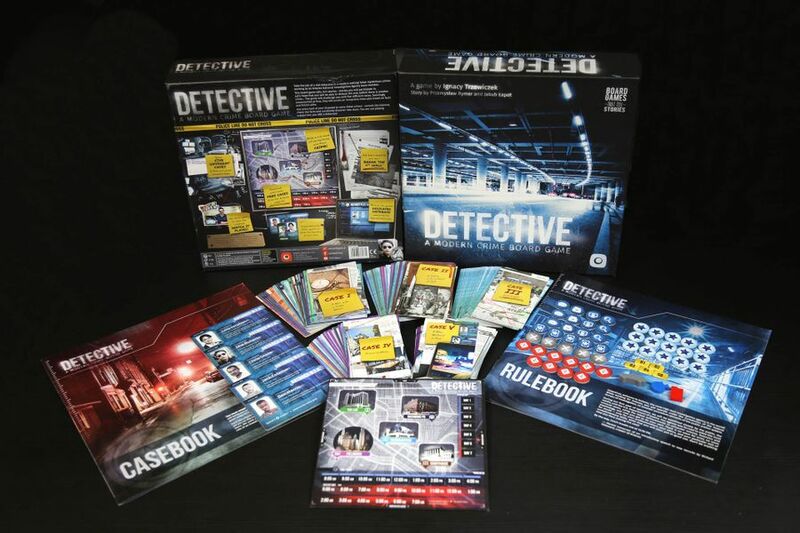 Only 300 copies were flown in to Gen Con, but the game will hit retail later in the month. 1001 Odysseys is an episodic space adventure game inspired by choose your own adventure books. 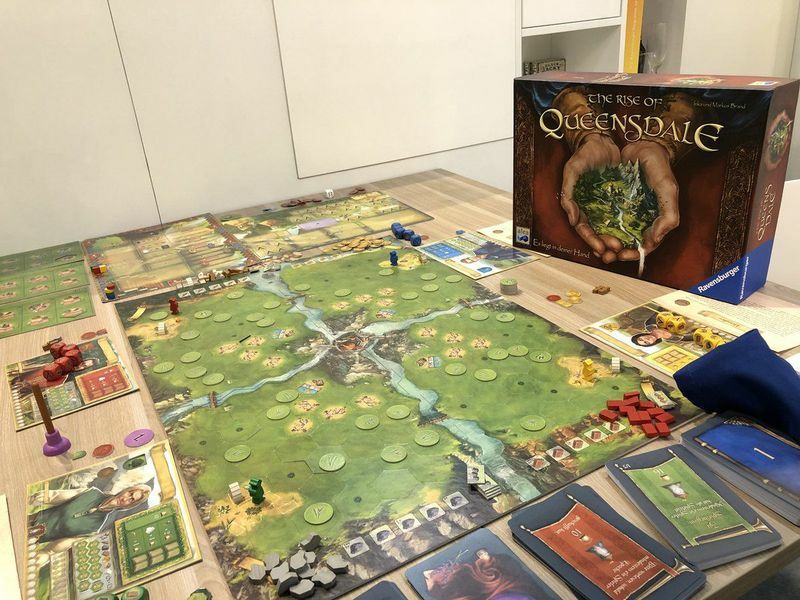 Chris has been developing this game for a number of years, and at one point was a hybrid tabletop/app game, but it appears that the game may have moved back completely into the analog space. 1001 Odysseys tells the humorous story of humanity’s first foray into a sector of the galaxy full of “fascinatingly weird” aliens. Asmadi Games will be demoing a special episode at Gen Con, at time of writing this they only had 9 seats available for demos. 1001 Odysseys is planned for an October 2018 Kickstarter, pending feedback from playtests at Gen Con. Legacy Euro-style game by German designer power-couple Inka and Markus Brand. I love their EXIT series of escape room games, and I know they also have some pretty highly-regarded strategy games as well. This game has been out in Germany since March, and early reviews have said that the core gameplay is really solid. My only major concern with this one is that since the campaign ends when a player wins 9 games, it could take as many as 25 or 33 games in a 3 or 4 player game respectively. Not sure my friends would be willing to commit to something this long. Just announced last week, Comanauts is the second title in PHG’s Adventure Book series, building on the mechanics and systems introduced in Stuffed Fables, but for a more mature audience (not sure if they mean “mature” in terms of complexity or content). I love Psychonauts and Inception, so I’m sold on the theme of exploring a dreamscape. Game comes out later this year, but they’ll have it available to demo at Gen Con at their booth. I’ll be honest, after First Martians, I was a bit skeptical about Detective. But the initial reviews and impressions of this game seem to be overwhelmingly positive, so I’ve slowly warmed up to it to the point of being excited about it. I am a fan of mystery/puzzle games, and I’m curious to see how the digital integration works with it. 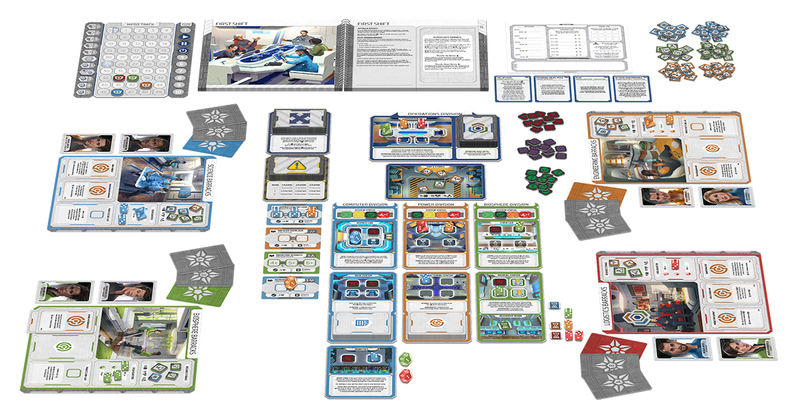 Portal Games will have copies for sale at Gen Con, and will hit wider retail later this month. Just announced on Tuesday in Greenbrier Game’s newsletter, Fire For Light is a dark adventure game about survival and exploration. The game is set during a nuclear winter, centuries after whatever initial incident caused it, and players take on the role of two sisters who leave the shelter of their home to explore their harsh surroundings. The game uses an app that handles as the storybook as well as tracks players choices throughout the games. The story of the game is large in scope, but told in smaller quest-sized chunks in individual game sessions. An early prototype was shown at on Twist Gaming’s stream on Tuesday (at the 3:11:00 mark), and the artwork has a cool comic book feel to it. This one is still a little ways off, with a Kickstarter in February/March 2019, but they are doing playtesting at Gen Con. Just announced this week on Monday, Gen7: A Crossroads Game is the long-awaited Crossroads followup to Dead of Winter. Players take on the roles of officers aboard an international colony ship to a distant star system. A terrible mystery has emerged that threatens the entire mission, and the fate of humanity rests on the choices you make. The game is played across a 7-episode campaign with a wildly branching narrative. No release date has been given yet (probably Q4 2018), but they will have it available for demo at their booth. 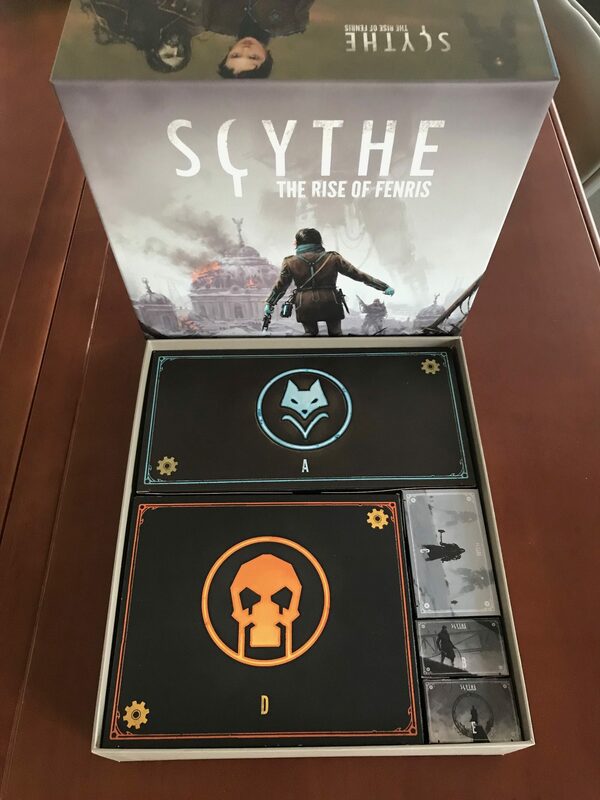 The final and biggest expansion to Scythe features 11 modules that can be added to Scythe, similar to what Tuscany did for Viticulture. 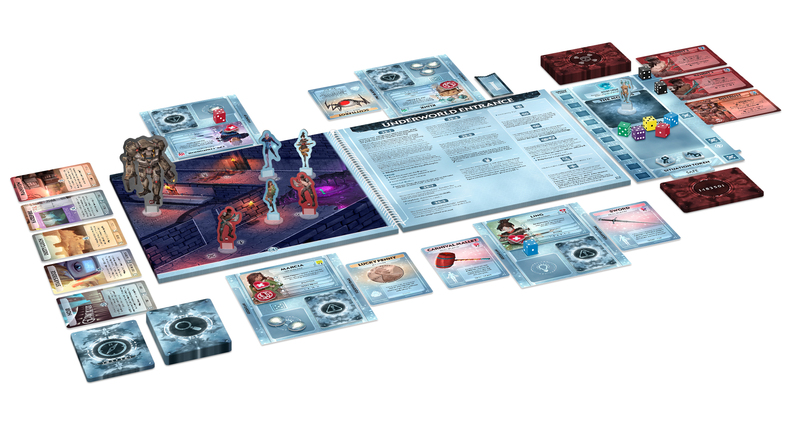 The expansion also comes with an 8-episode narrative campaign that lets players unlock the modules similar to sealed content in legacy games, but there is no permanent changes to components and the entire campaign can be replayed infinitely. I really enjoy Scythe, so I’m excited to play through this campaign and unlock all the surprises. Hopefully I can play through it with friends, but if not, I can play solo with the automa rules provided. The game will hit retail August 17th. Adam Poots is a very secretive man, and Gen Con is really the only one time a year that he makes a public appearance. He’s kind of like if Willy Wonka was into body horror, miniatures gaming, and RPGs. We have heard little from him in the past half year, but we do know he well have two upcoming expansion monsters, Screaming God and Black Knight, available for demo at his booth! People have also confirmed that he is selling a promo mini-expansion, Echoes of Death, that adds a couple extra Fighting Arts to your game if you can complete specific achievements. 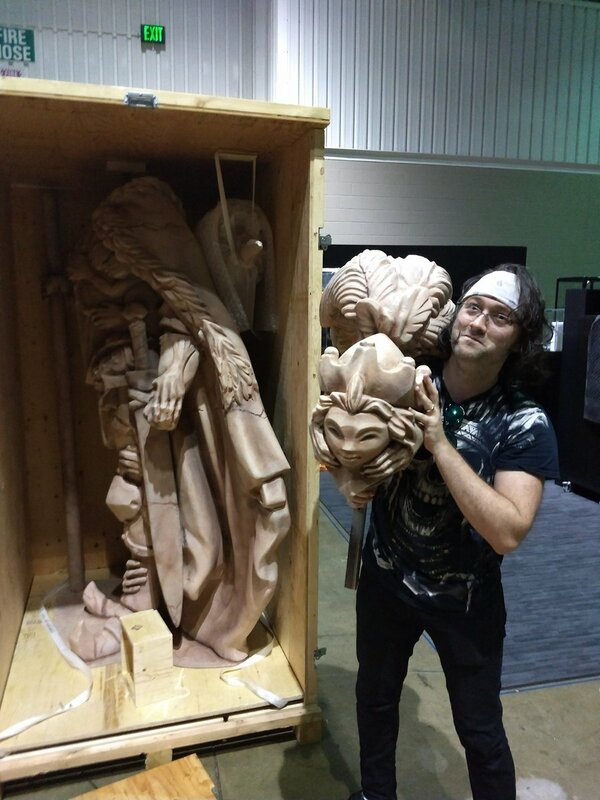 He should hopefully also have a lot of other sculpts and assets from upcoming expansions on display at his booth. Kingdom Death: Monster is one of my favorite games, and I can’t wait to hear more information about The Gambler’s Chest and Wave 4 expansions! And a life-size King’s Man statue!